Taille de cet aperçu PNG de ce fichier SVG : 800 × 422 pixels. Autres résolutions : 320 × 169 pixels | 640 × 338 pixels | 1 024 × 540 pixels | 1 280 × 675 pixels | 4 098 × 2 162 pixels. 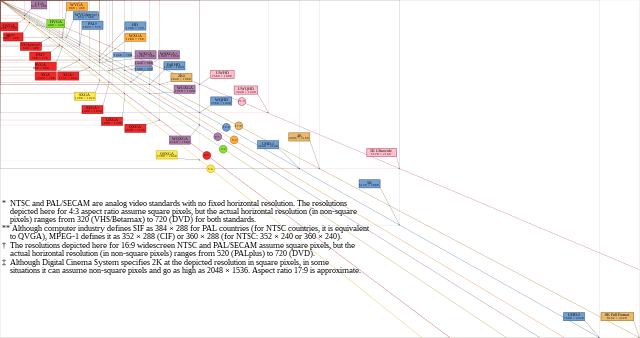 English: This is an update to Vector Video Standards4.svg to resize the file for newer and wider displays.svg. I added a 21:9 ratio. 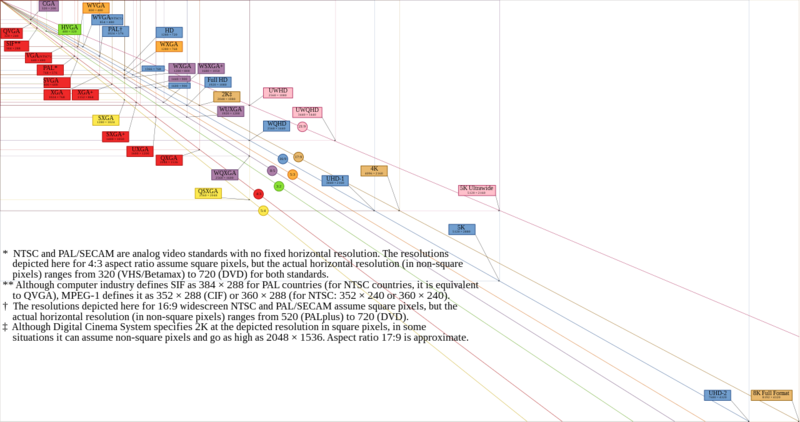 (~2.35 to 1 I think is the real ratio) 2560×1080; 4K, and UHD-1. A short-coming is the disclaimer text for the 2K probably applies to the 4K. I also did not add EGA as someone requested in the talk page. also, I can add other values, but please cite them. I'm not sure if this file is to be common display resolutions or EVERY resolution. note about the svg.. the source svg I modified use an X offset of 0.5 indentation and what seems to be a partial or abandoned use of css classes. I cleaned some of that up and removed unused declarations. Ce document provient de « https://fr.wikipedia.org/wiki/Fichier:Vector_Video_Standards8.svg ».